Depending upon how you plan to use your kitchen you have a few decisions to make regarding ifand then,what kind of outdoor refrigeration will be included. You do not have to include outdoor refrigeration, but if you do, you should know what the differences are and there are several big differences. 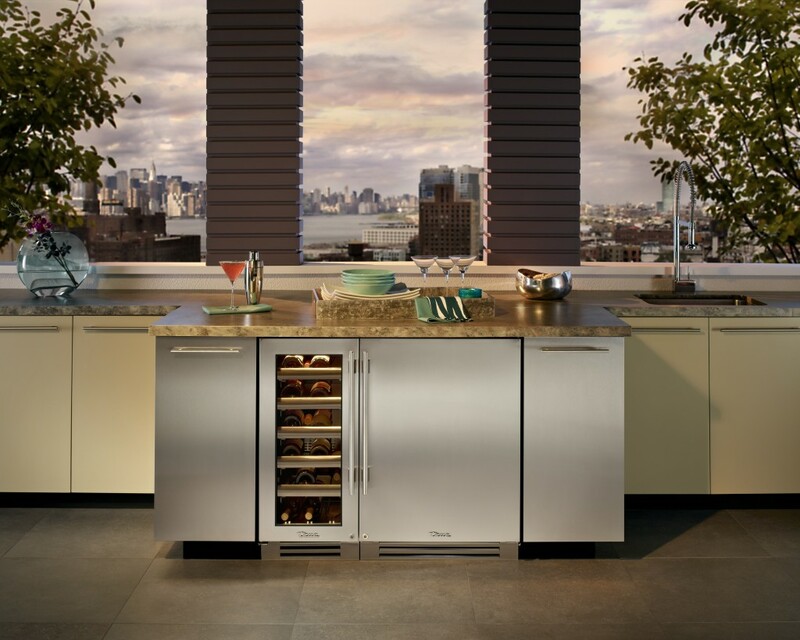 As for how to decide if you want refrigeration in your outdoor kitchen, my best rule is that if the indoor kitchen is very close-by and readily available to the party, only add what you don’t already have. If you have a great refrigerator and space is not a big problem inside it, don’t add another one, perhaps you would enjoy a beverage dispenser that can double as a refrigerator when not being used for a keg. The other is most indoor kitchens don’t have ice machines, outdoors is a great place to add ice. As far as what makes outdoor refrigeration different, most people think it’s all about the electrical, but that’s really not the issue. In all cases insulation is a big deal but in the case of more sophisticated products there is much more going on than a pretty cooler box. In all cases being able to rely on service after the sale should be your primary concern rather than focusing only on price.